Their are a couple of species of Thick-knees in South Africa, the Water Thick-knee (Burhinus vermiculatus) or this one below the Spotted Thick-knee (Burhinus capensis). As you can see from the photograph these birds are 'nocturnal' ('hunt by night' and have very large eyes) and the 'tibiotarsal joint' (knee) is swollen hence 'Thick-knee'. 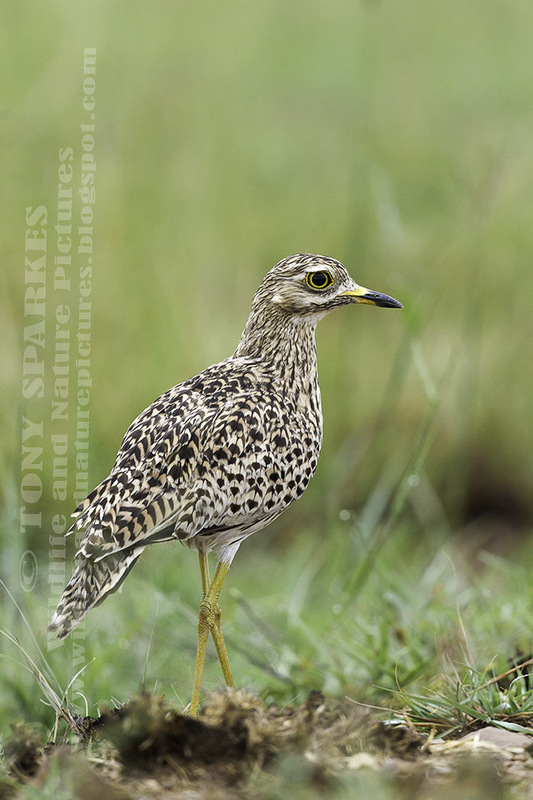 These birds are also know as the Spotted Dikkop or Cape Thick-knee.